ChargeIt by Jay Round Brown Pine Faux Wood Charger Plate 13"
Home > Products > ChargeIt by Jay Round Brown Pine Faux Wood Charger Plate 13"
Set a rustic table setting with the ChargeIt by Jay Brown Pine Faux Wood Round Charger Plate 13". Perfect for themed receptions, outdoor gatherings, and catered events, this charger plate boasts an attractive brown pine appearance that stands out behind bright white dinnerware. 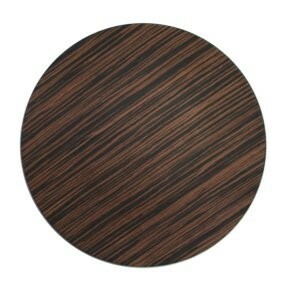 Made from faux wood, this charger plate has a food-safe surface and provides unbeatable durability to withstand daily use. Perfect for standard-size plates, this charger is designed with a delicate incline where your plate securely sits. Combining form and functionality, this charger plate prevents spills and mess protecting your tablecloth from stains.